Nov. 30, 2018: Alumni returned to campus to host current students in a variety of networking dinners known as Beyond the Commons. The evening kicked off with a hot chocolate social hour in the lobby of Leahy Hall. A group of 16 alumni were able to socialize with over 30 eager students representing all three schools of study at Scranton. After the social hour, alumni and students were broken into smaller groups to enjoy their meals at restaurants throughout downtown Scranton. This year’s dinner themes included the following: Advancing your Career, Health Sciences and Related Professions, The Scranton Bucket List, The Value of a Jesuit Education and Women in the Workplace. 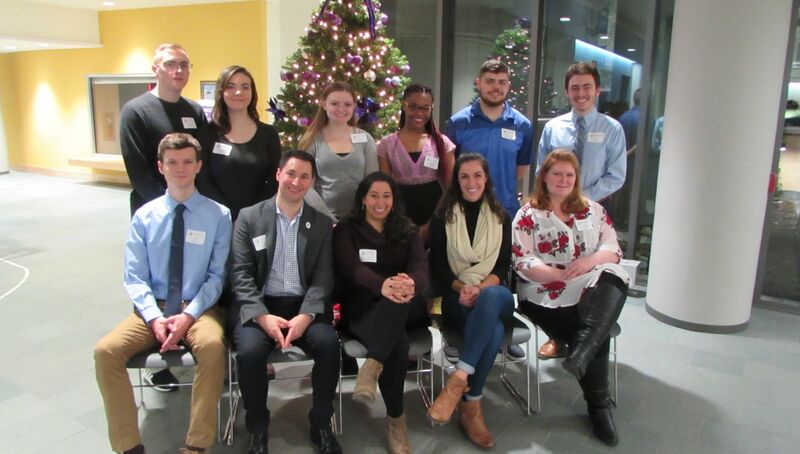 Presented by the Future Alumni Network of Scranton (FANS), Beyond the Commons is a series of dinners that gives current students of all class years and majors the opportunity to develop their networking skills and mingle with alumni in a casual setting. 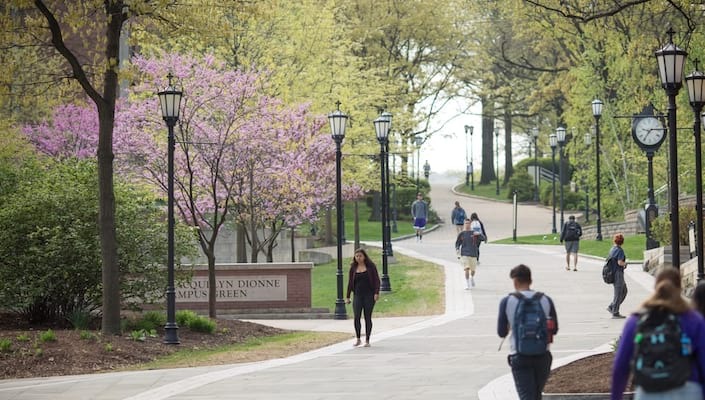 If you are interested in hearing more about Beyond the Commons, please contact FANS President, Brianna Tucciarone, at brianna.tucciarone@scranton.edu.